Are you a leader or member of a church who is concerned with the disconnect between your congregation and your community? Are you interested in solutions to help your congregation get connected? 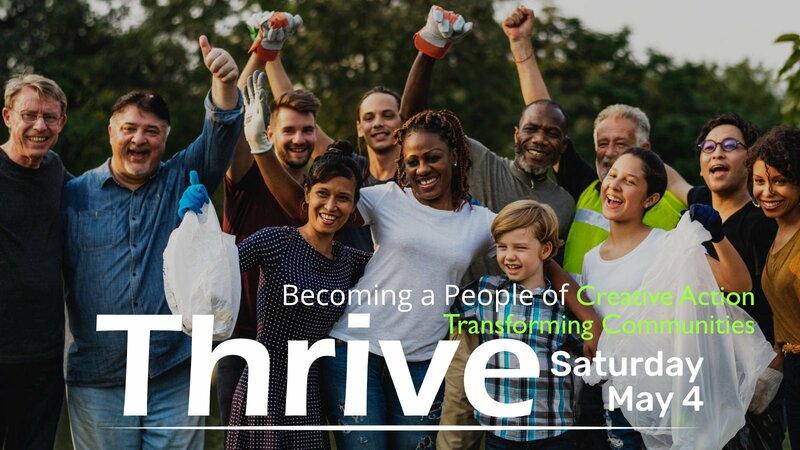 If you have answered “yes”, then this Thrive workshop is for you. We are working to revitalize the life of our congregations by reaching out into our communities where God is already at work. Come hear stories of congregations like yours that have become faithful and effective in their communities. Gain the spiritual foundation for this journey that will transform your congregation and the world we live in. Our leader, Ruth Fletcher, shares her pastoral experience, Regional church work, consulting ministry, and personal research to help us understand some spiritual practices that characterize congregations that are thriving. You’ll hear her talk about how the world is changing and how the church is changing. You’ll hear powerful stories of churches that have made the shift. A key part of our faithful future is engaging in the community around us. God is calling us to get outside the building! Click here to register for this event – cost is only $15.00.